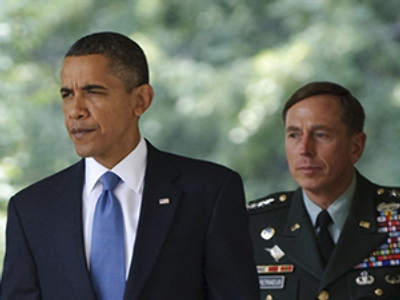 US President Barack Obama has accepted the resignation of Afghanistan commanding Gen. Stanley McChrystal and will nominate Gen. David Petraeus as his replacement. McChrystal was summoned to Washington after making controversial statements in an interview with Rolling Stone Magazine. McChrystal made, what some are calling, derogatory comments towards Obama administration leaders and criticized actions. The interview apparently mocked top officials, including Vice President Joe Biden. McChrystal was America's top commander in Afghanistan overseeing US and NATO coalition forces. Petraeus is the Commander of the United States Central Command. He previously served as the Commanding General of the Multi-National Force in Iraq from January 2007-Septemebr 2008. Obama said it would be difficult to lose McChrystal, but he believes it is the right decision for US national security. He said he both respected and admired McChrystal. “I won’t tolerate division” said Obama, citing a need for unity in the war effort to ensure a victory in Afghanistan. The counter-insurgency strategy enacted by McChrystal will move forward under Petraeus, who conducted similar operations in Iraq. “This is a change in personnel, but it is not a change in policy,” said Obama. “They’ve decided to change who’s driving the bus, but no one’s sure where the bus is going and it looks like it might be heading off a cliff. 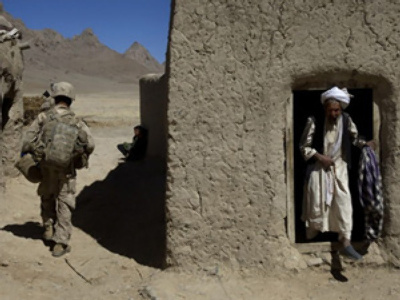 So, in the bigger story of the war in Afghanistan it’s hard to see how this makes much of a different at all,” said Peter Hart, the activism director at FAIR. Hart argues that it’s all about spin and reputation, focused on who is in control and who supports who – US President Barack Obama or McChrystal. He said the real focus should be on the war itself and the policy. 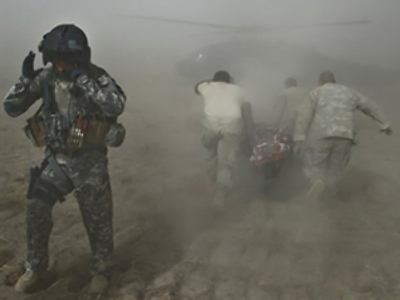 “We don’t have a discussion on what on Earth the United States is doing in Afghanistan going into this 9th year of the war with the casualties continuing to mount,” said Hart. Hart said that the most fascinating items from this development are the comments made in the article by McChrystal and those close to him. “You have people close to McChrystal saying, if the American public saw what was really happening in Afghanistan they would be even more opposed to this war. That’s the story! You can lay that at the foot of the American media for not paying attention to the reality of the war and paying much more attention to this beltway intrigue and drama about who said what about Joe Biden, or what have you,” said Hart. Many have argued that McChrystal’s statements simply expressed what he feels and has observed from his time on the ground in Afghanistan, as opposed to the typical political jargon. American media and the 24/7 news cycle initiated and fueled Obama’s decision, argued Hart. “I think that explains probably 90% of why we are talking about this today,” said Hart. He argued that the media is driving this discussion because it is a debate they want to have and are comfortable having, as opposed to addressing the war itself. “We need to be talking about what the point of the Afghanistan War is and I think that’s a story the media are reluctant to sink their teeth into,” said Hart. Anti-war activist Michael Prysner agreed, arguing more people need to pay attention to what is going on in Afghanistan. “This war is a catastrophe for every day it goes on,” said Prysner. “When the blame game starts, that’s a feature that‘s characteristic of every war that’s being lost,” said Prysner. Prysner expressed a hope that others in the military would follow McChrystal’s example, to step forward and speak out against what they are seeing on the ground in Afghanistan. He argues they too should break code and stand up against their leaders. “Public support for the war in Afghanistan is hanging by a thread and that’s a thread that’s becoming tighter and more strained every single day that this war continues,” said Prysner. He argued that the lack of public support forced Obama to replace McChrystal to avoid any perception of weakness that might further shift public opinion against the war in Afghanistan. “Obama had to make a choice between his top general and his vice president here, which is why we see the decisions to have McChrystal go,” said Kepka. She argued that the switch to Petraeus will minimize upheaval in the war effort and maintain the administration's current policy. Kepka also agreed that the media cycle put pressure on Obama to respond and that the real focus of media attention should be the war effort itself. 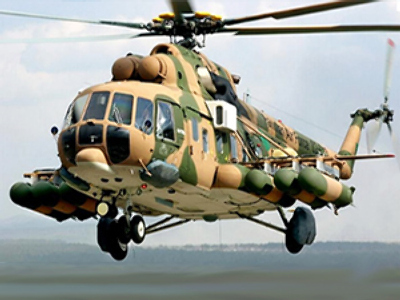 Military analyst Evgeny Khrushchev believes that the winners of this “media disaster” are the Karzai brothers. What’s next for the US war in Afghanistan?